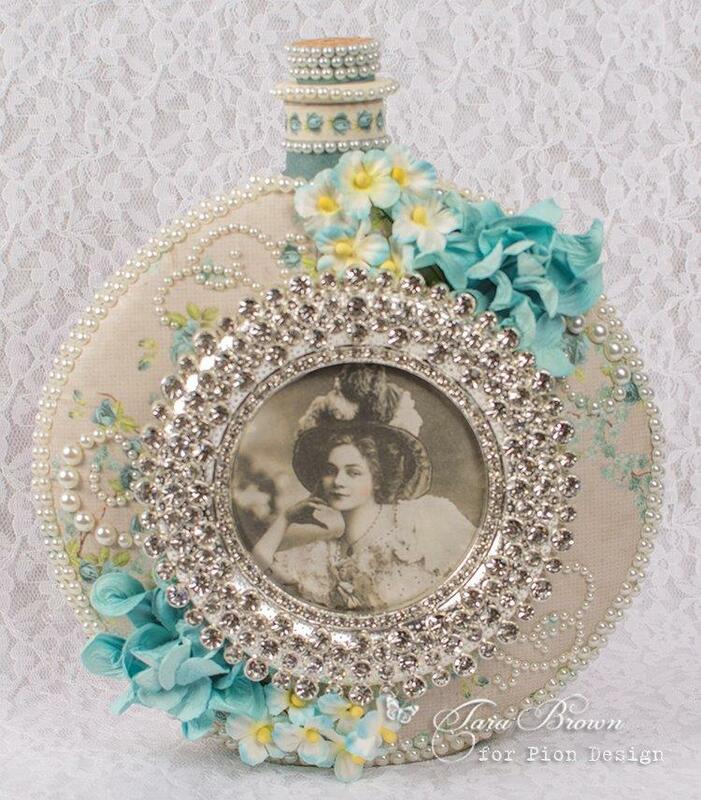 This altered flask shows that Mister Tom’s Treasures can also be used for feminine projects. Papers from this phenomenal paper collection were decoupaged onto the glass flask and then a lovely image From Grandma’s Attic – tinted was added along with a jeweled frame. Oh my goodness. She´s just done it again haven´t she? Tara simply never sease to amaze me ever, but always keep comming with the most amazing projects that any brain can outthink, if that´s even a word? LOL.